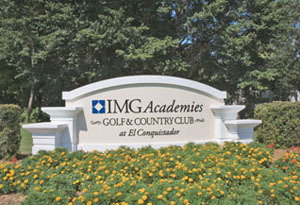 Renowned as one of the world's most advanced multi-sports training facilities, IMG Academy is located on nearly 300 sprawling acres in Bradenton, convenient to the beaches, shopping and cultural attractions of Tampa Bay and Sarasota. 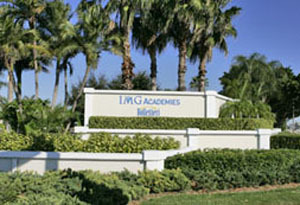 From its inception in 1978 as the Nick Bollettieri Tennis Academy, IMG has evolved into the most highly sought-after sports training facility for the who's who in professional sports. Athletic prodigies from around the world choose IMG for its unrivaled reputation for producing more professional and college-level athletes than any other program. . ... more.Residential options for on-campus living include gated, maintenance-free villas; newly constructed, Gibraltar Homes-built coach homes in Legends Cove; private, guard gated villas overlooking Sarasota Bay constructed by Arthur Rutenberg Homes and Gibraltar Homes in Legends Bay; and Golf & Country Club living at El Conquistador.